COLUMBIA, Mo 9/28/13 (Op Ed) -- With tens of millions of dollars in accounts that do nothing for the public, Columbia's oddball tourism slogan What You Unexpect describes the dumb way City Hall handles your money. A fire station, in a neighborhood of retirees and schoolchildren, facing cuts for the second time in three years. No money for police officers without a property tax hike. No money for sewer and stormwater repairs without a utility rate increase. No money to pave streets with real asphalt instead of cheap chip-and-seal, unless the street -- like Rangeline -- runs alongside a power player like Columbia College. No money to fix sidewalks or make streets like Clark Lane disability accessible. Ongoing drama that pits public desire ($200,000 for CAT TV) against city management demands ($3 million for shovel-ready land). And yet -- plenty of money for new city office space; giant parking garages; and a huge severance pay boost for city manager Mike Matthes. So where does the money come from for all those city management priorities? It's money sitting on the city's balance sheet collected from taxpayers, ratepayers, finepayers, and feepayers over many decades, that does nothing unless the city manager orders it to. The City Council has virtually no control over it. 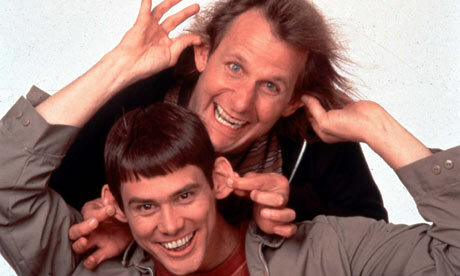 Like a sequel to Dumb and Dumber, that do-nothing money could be called Lazy and Lazier. The biggest amount, named "Unrestricted" on the city's financial statement, is a lazy $143,000,000. City Hall controls it, without much interference from outside laws, constitutional provisions, or voter mandates. That's why it's called "unrestricted." Still, with all this freedom, that lazy money won't budge for a public in need. An even lazier account, known as "Unassigned," is $26 million literally sleeping in the city's General Fund, which pays for police, fire, and other critical city services. The Unassigned account is not only unrestricted by any laws, but the City Council hasn't assigned it any tasks, either. Hence the name "Unassigned." In short, these Unrestricted and Unassigned accounts thumb their noses at voters, taxpayers, and our elected representatives on the City Council. They only get off their lazy behinds when Mike Matthes tells them to. Council members, probably fearing reprisals from local power players who control the money through the city manager, simply refuse to take charge. It's one more thing You Unexpect about Columbia. But it won't be going on tourist brochures anytime soon.